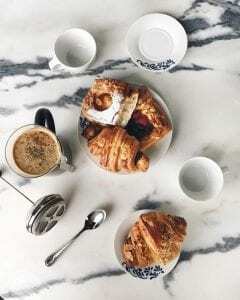 Home Barista Should You Grind Finer For Better French Press Coffee? 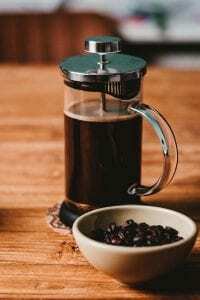 French press brewing is one of the most simple and inexpensive methods to prepare coffee. Even a complete newcomer to coffee can follow the method and produce a decent cup. But can you turn a decent French press coffee into an exceptional one by adjusting the grind size? 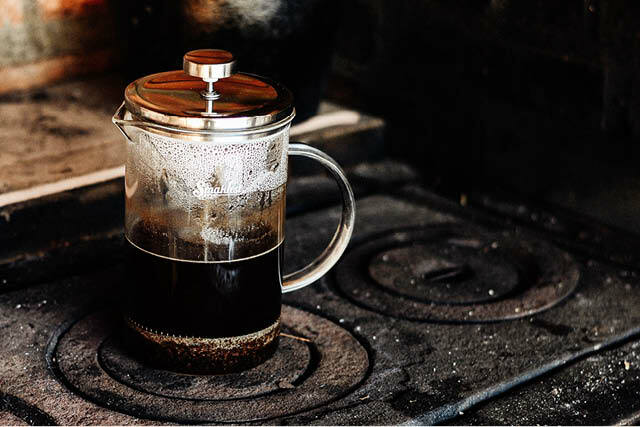 It may seem against everything we know, but take a look at why using a finer grind in a French press could make sense. 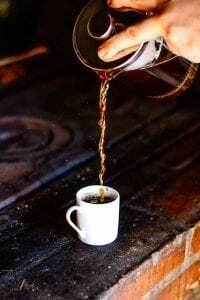 You may also like Brewing Methods Compared: How Should You Make Coffee at Home? 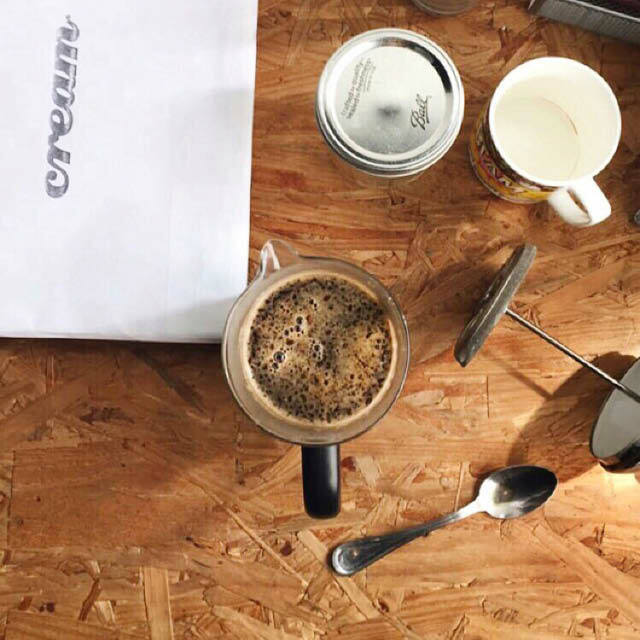 The specialty coffee world is used to tweaking extraction time, grind size, and other factors to get the perfect cup. But we usually do this with pour over, espresso, and AeroPress methods of brewing. The humble French press has been a little overlooked. 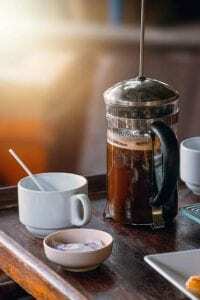 It’s generally agreed that a French press is best used with coarsely ground coffee and water just under boiling temperature. 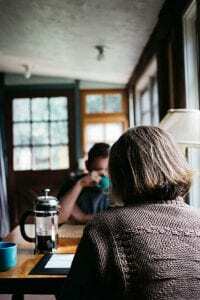 Allow three to five minutes of immersion time, and you have a decent cup of coffee. Of course, all three variables in this method can be tweaked. And all three factors also affect one another, so if you change one, you should consider the other two. It may seem strange to buy an expensive burr grinder only to pair it with a French press. But if you want great coffee, you should consider it. A quality grinder will produce consistently ground coffee. Inconsistent grinds contain a range of particle sizes from very fine to very coarse. A low-quality grinder can produce a lot of fines. These are the tiny particles that coffee sieve producer KRUVE likens to coffee dust. Too many of them can create muddy or bitter coffee. When you use coarsely ground coffee, it is less likely to contain a lot of fines. This means that you’re less likely to have a cloudy cup with muddled flavors. But using a quality grinder, and even a coffee sieve, can solve this issue with using more finely ground beans. 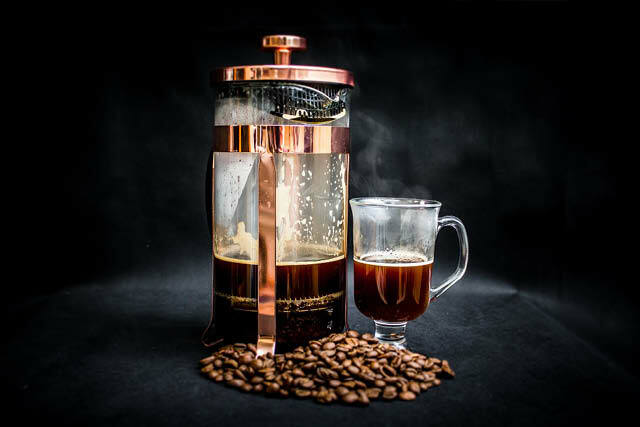 The French press is an immersion method of brewing, which means that the beans have an opportunity to extract for longer than in other methods. Because of this, we usually use a coarser grind to keep the extraction slow and avoid over-extraction. In a pour over, using a finer grind can impede the flow of water. This isn’t the case in a French press, so we have more freedom to experiment. Yes, we should consider the brew time if we adjust the grind size to avoid over-extraction. But we aren’t limited by the need to be sure that water can pass through a bed of grounds. The idea behind using less coarse grinds is that it allows the extraction of flavor-producing compounds to happen more quickly. Because there is more surface area, the soluble compounds are quickly extracted from the ground beans into the water. Coffee beans before being ground and sifted. 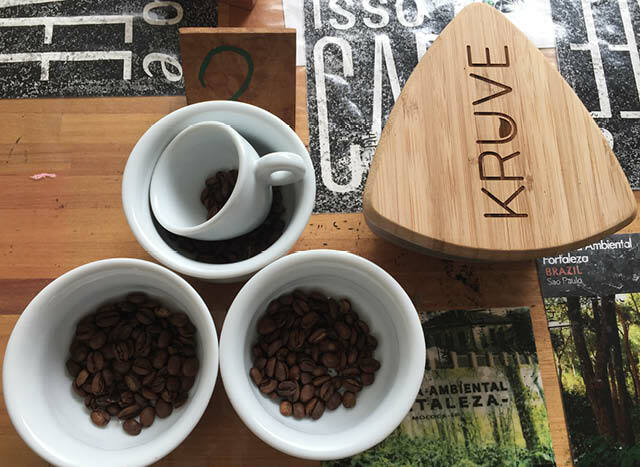 Credit: Kruve Inc.
Matt highlights that “if you give water more contact time with the coffee, it will extract more of the flavours.” We can do this by extending the brew time, but because the water will cool, it may be less effective than using the same amount of time with a finer grind. One of the fears of using finer grinds is that the coffee will end up cloudy and your cup will have silt. You may think that finer coffee will seep through the filter screen. But quality French press pots have a screen fine enough to hold back medium-sized grounds and coffee expands when it is saturated. What James is highlighting is that there is a point of over-extraction. 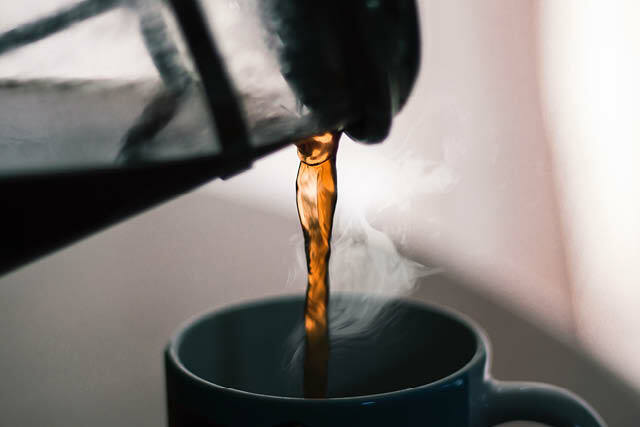 If you go too fine, you can find yourself with coffee that has extracted too much of the bitter-tasting compounds and is unpleasant to drink. This is the method I recommend as a starting point for your own experimentation with grind size. Use 35 g of beans for every 16 ounces (just under 475 ml) of water. James’s method includes using a digital scale to make sure you know exactly how much coffee and water you are using and can adjust as needed. Grind your coffee medium to medium-coarse, using a quality grinder. 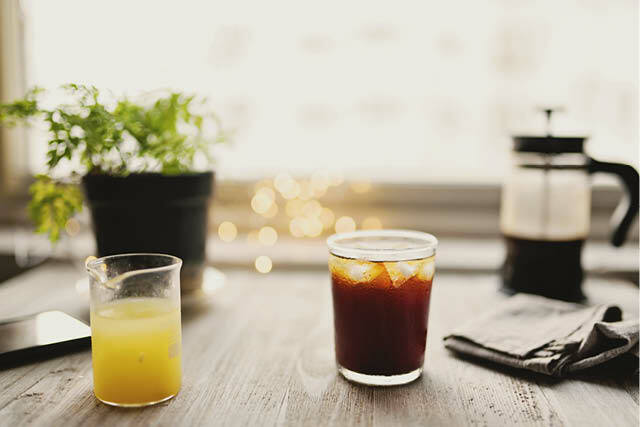 If clear coffee is important to you, try coffee sieves to remove the fines and boulders (the large particles). I found that I could reduce the steeping time by using 600-micrometer and 800-micrometer sieves. The largest particles had been removed, which meant more consistent extraction. But I felt that I wasted too much coffee this way. In your first trials, use water that is just off the boil (around 200° F or 93℃). You can do this by boiling water and waiting around 30 seconds for it to cool a little. After stirring the coffee and water to agitate it, cover the beaker with the lid and insert the plunger a little. It shouldn’t touch the coffee. Water cools quickly in a glass beaker, so the lid is just there to insulate the brew during extraction. After seven to ten minutes, almost all of the coffee particles will have sunk. Keep an eye on this and make a note of when you’re ready to push the plunger. Then do this very slowly, to avoid stirring up the fines. Leave a tiny bit of space between the grounds and the screen. After this point, we are just letting the grounds become saturated enough to sink and avoid a sludgy brew. Turkish coffee uses the same concept. Pour carefully to avoid disturbing the grounds and leave the last few sips in the pot, under the screen. You don’t want to drink this silty part. Now repeat the whole method again with finer grinds and see if you notice a difference. When you adjust grind size, you should also consider the water temperature. Because a finer grind has more surface area, it will extract more quickly. Lowering the water temperature can slow the extraction and help avoid bitterness from over-extraction. When using a medium grind, we can lower the temperature of the water from the recommended 200°F (93℃). 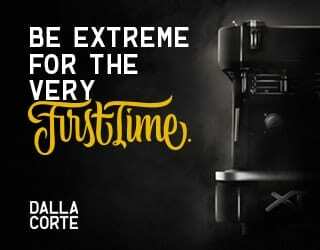 By using water around 195°F (91℃) and brewing a little longer, we can get a cup that is bold enough but avoids the bitter notes of over-extraction. If we lowered the water temperature with a coarse grind, we might get an under-extracted cup unless the brew time were extended to compensate. The key point here is that all the factors involved affect one another. If you change one, you will likely need to change another. 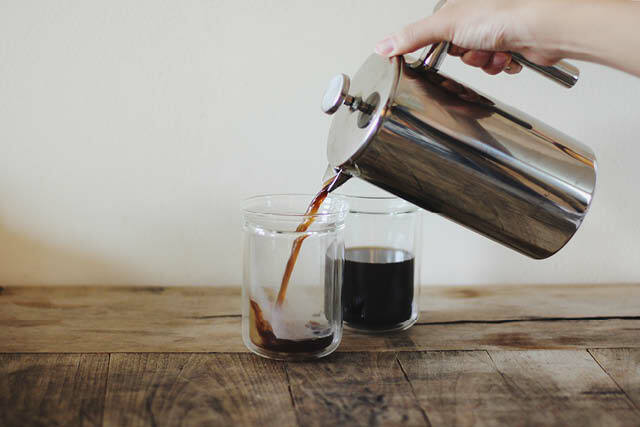 Even a complete newcomer to coffee can follow the French press method. 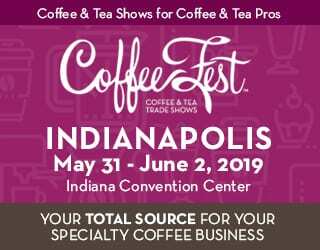 There are so many different ways to brew coffee that it’s most important to understand the concept of extraction and play with it. It’s a matter of balancing the variables to find your perfect method. Try different water temperatures, grind sizes, and brew times and see what works for you. Coffee brewed in a copper French press. Which Kind of French Press? It’s also worth mentioning that the standard glass French press beaker doesn’t maintain a constant brewing temperature. If you’re serious about playing with variables and finding the best method, try a ceramic pot or add an insulation layer to your glass pot. Stainless steel pots provide good insulation, but I find that they add a subtle taste to my cup that I dislike. Understanding extraction can open a world of experimentation in brewing. And the French press allows for just as much innovation as other methods. 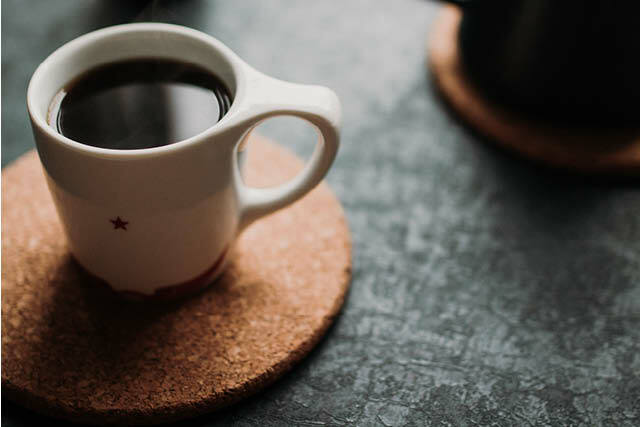 If you use a decent grinder, allow your grinds to saturate, and press the plunger slowly, you shouldn’t have a problem with silty coffee or muddy flavors. Don’t be afraid to experiment by adjusting each variable. Adjust the grind size, water temperature, and brewing time and keep notes on what works and what doesn’t. Enjoyed this? Check out What’s The Truth About Decaffeinated Coffee?